Here is a Syrphid fly Eristalis dimidiata. 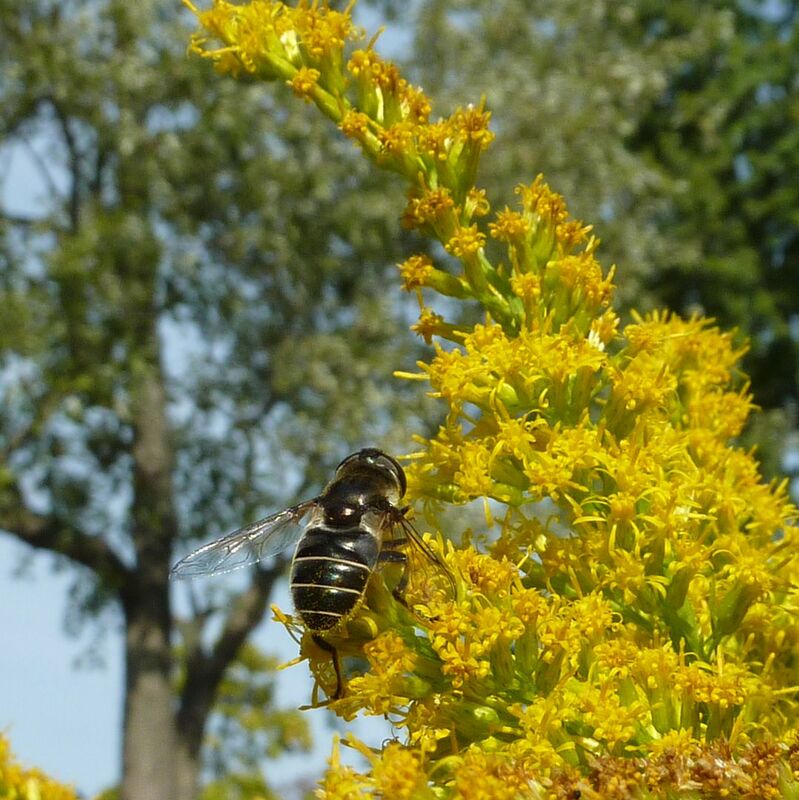 This was just one of the many pollinators that visited the tall goldenrod this year. Adults feed on nectar while maggots to this species are aquatic. I don't know what the maggots feed on specifically but they're common in eutrophic water, that is pools rich in organic matter. There aren't many photographs of the maggot form but they get the name rat tailed maggot from the tube they use to breath from while under water. Upon observing the last leaf on my native plum tree I discovered it's being held on by spider silk. 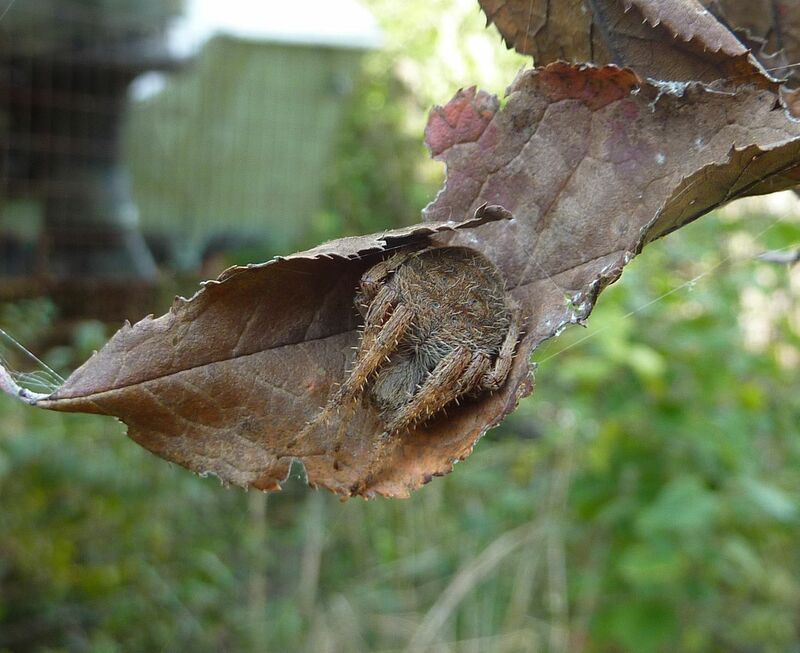 The spider is delicately camouflaged with the leaf. Each night she spins a huge web around the tree to catch the last of the night flying insects. I don't believe the adults of this species make it through the winter.